This family of 6-1/2 digit DMMs plug into any PC PCI bus slot. They sport an impressive +3,300,000 counts, which is a lot more dynamic range than any other product in this category. 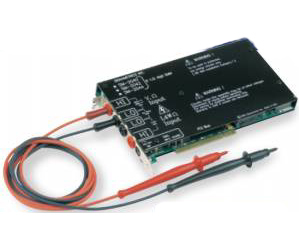 The SM2040 series supports Plug-and-Play operating systems. Once installed, your computer will automatically detect and allocate I/O space, without having to set address switches.